Great News, Everyone! 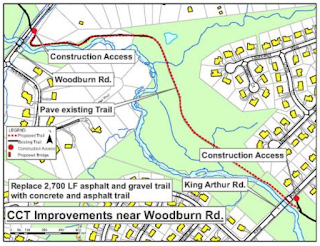 Riders of the Gerry Connolly Cross County Trail (GCCCT) will soon see construction by the Fairfax County Park Authority to improve the surface of the GCCCT between King Arthur Road and Woodburn Road outside Annandale. 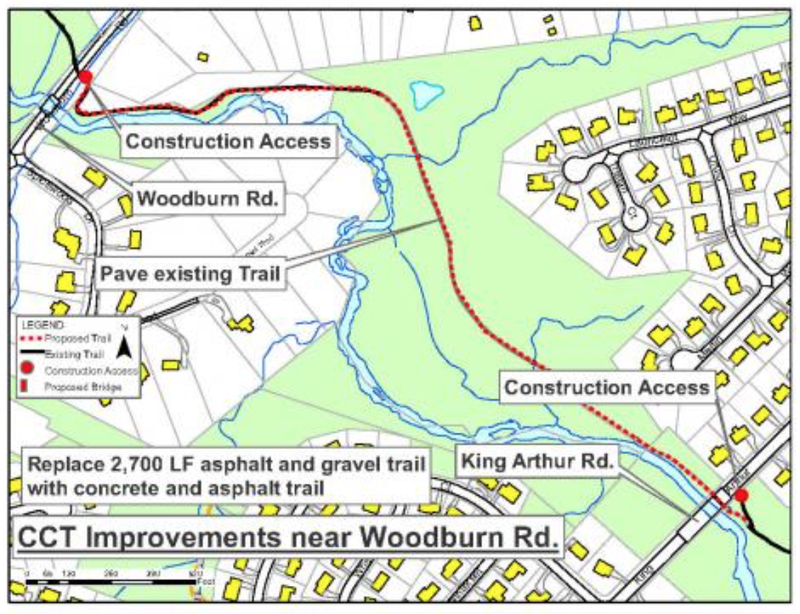 The trail will be re-paved with asphalt and concrete and several culverts will be replaced. For more information, contact Project Manager Som Govender at 703-324-2464 or the Public Information Office at 703-324-8688.